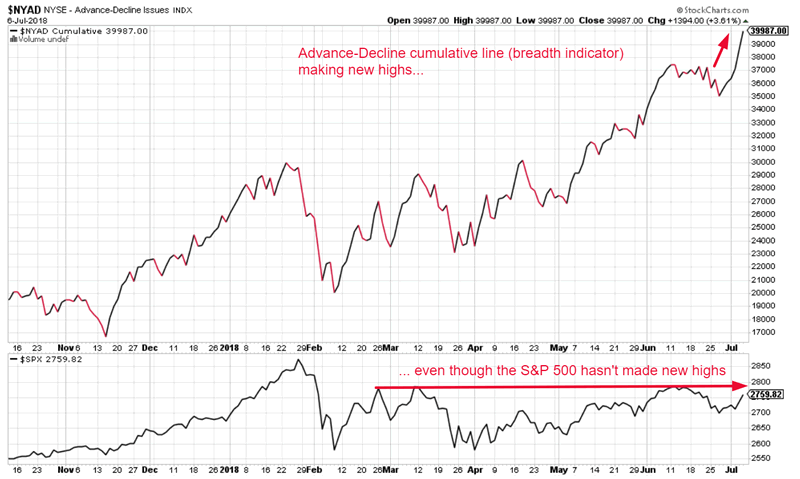 The NYSE’s Advance-Decline cumulative line is one of the best breadth indicators for the U.S. stock market. It adds the number of stocks that went up each day and subtracts the number of stocks that went down each day. This is a long term leading indicator for the stock market. 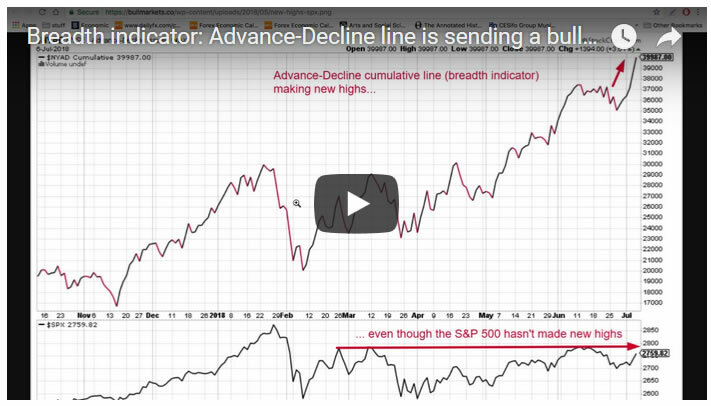 The Advance-Decline cumulative line just made a new high even though the S&P 500 hasn’t. 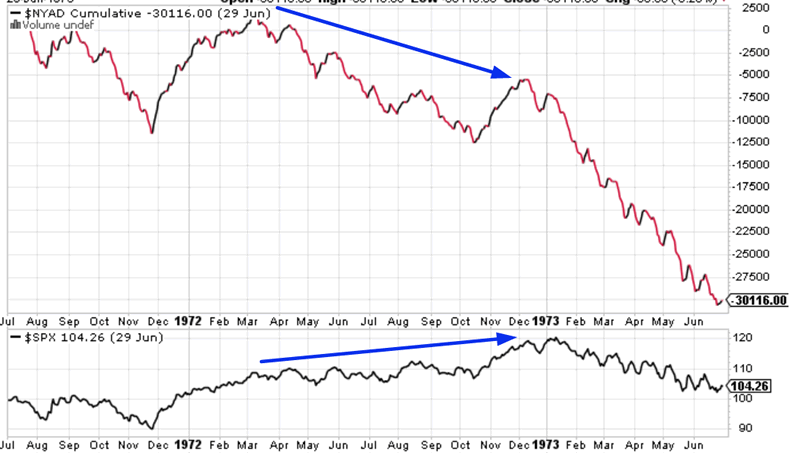 The Advance-Decline cumulative line hasn’t allowed the S&P’s pullbacks to push it down. This is a medium and long term bullish sign for the stock market. 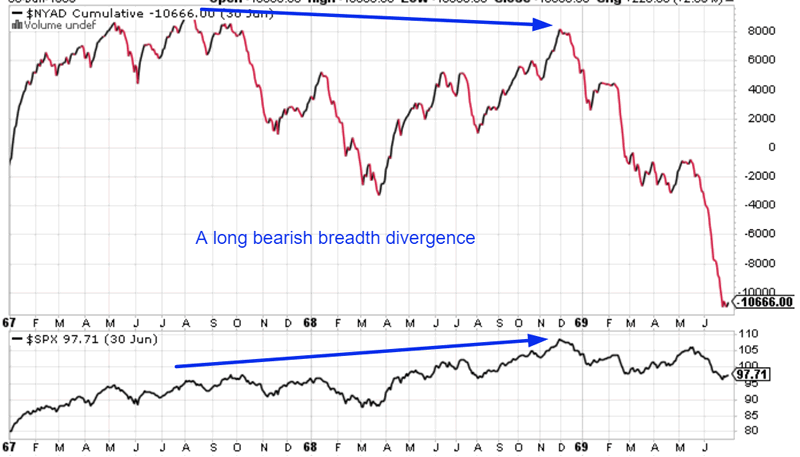 This previous study demonstrated that bull market tops are marked by bearish breadth divergences. With the cumulative Advance-Decline line making a new all-time high, this clearly isn’t the case right now. 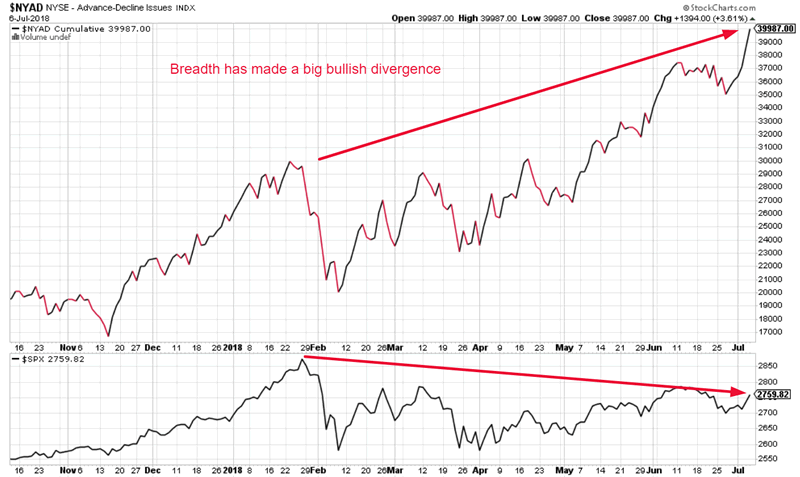 Breadth made a bearish divergence before the stock market topped. 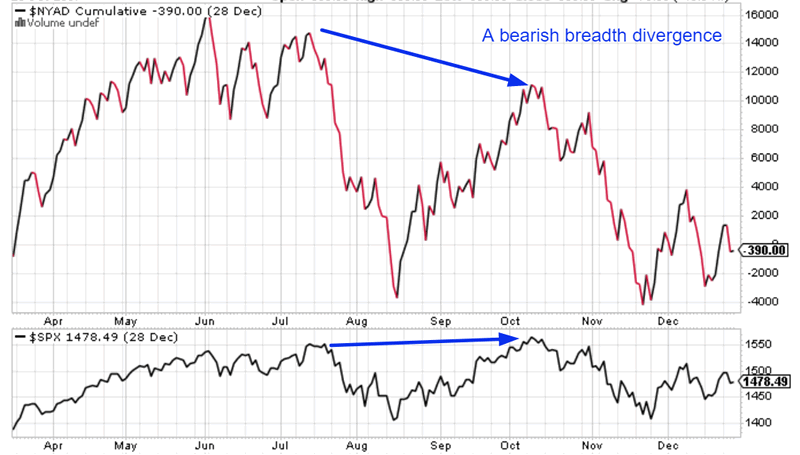 Breadth is making a BULLISH divergence today. 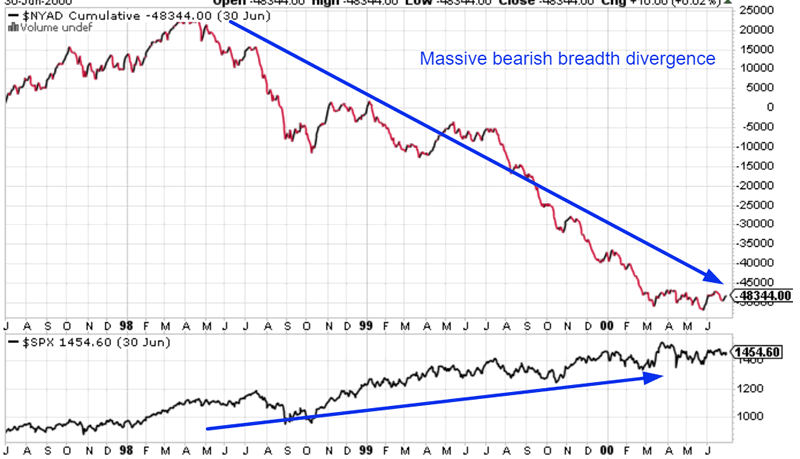 Breadth making a new all-time high means that the bull market in stocks is not over. There has yet to be a big bearish divergence in breadth. Meanwhile, the stock market’s range is starting to narrow. The stock market is making “higher highs” as if it is gearing up for a breakout.